Ovarian cancer is the fifth most common cause of cancer death in women in Western countries and family history is one of the strongest known risk factors. Approximately 5 to 13% of all ovarian cancer cases are caused by the inheritance of cancer predisposing genes with an autosomal pattern of transmission. 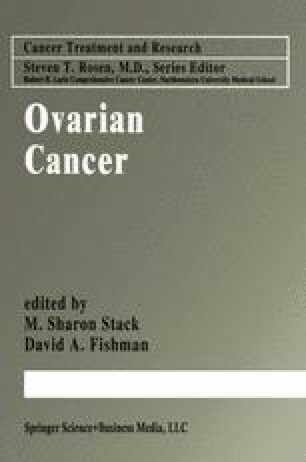 The inherited fraction of ovarian cancer may differ between populations. Based on analysis of familial ovarian cancer pedigrees and other epidemiological studies, three hereditary ovarian cancer syndromes have been defined. The identification of the genes responsible for most hereditary ovarian cancers has open a new area of early detection methods and preventive procedures specifically dedicated to women identified as carrying ovarian cancer predisposing genes. Predictive oncology is best performed by a dedicated unit with professionals aware of all the issues surrounding genetic testing.